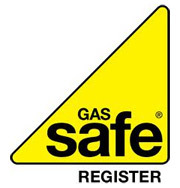 "At all times they were very professional in their approach to any jobs they were asked to do, There is no job to big or small for the company to undertake, All jobs undertaken have been completed to an exceptionally high standard and they are always willing to visit site immediately if an emergency arises. I would have no hesitation in recommending PNP for any electrical repairs or installations." "I can do no more than recommend PNP to any school/company with the certain knowledge that the firm will produce work of an excellent and professional quality and guarantee customer satisfaction." " After being let down by our previous electrical contractors we contacted PNP Electrical. They responded immediately and the job was completed the same day. The service and commitment to us is as good now as it was the first time we called them out. If any company should require an excellent and reliable services for electrical installation and repairs I have no hesitation in recommending PNP. " "We have been a customer of PNP Electrical services Ltd since 2006, I have always found them to be an excellent and efficient contractor. They are helpful, understanding and amenable to our needs, They have never let us down on any of the jobs we have asked them to do. They have gone out of their way on a number of occasions to source materials and resolve problems that our clients have demanded. PNP Electrical Services Ltd are a reliable, helpful and friendly company and no job is to large or small for them. I have never looked back nor do I have any regrets about joining forces with PNP Electrical Services Ltd "
"They can always be relied upon to deliver a professional service in a friendly supportive manner and liaise with staff to offer the best advice in order to undertake a task. They are always on hand at the end of the phone and their work is always of exceptional standard It is with every confidence and without hesitation that I would have no reservations at all in recommending PNP Electrical for both electrical installations and repairs. "